Home > Android Stuff > Looking for a Spiffy Present for an Android Fan? Look No Further! Looking for a Spiffy Present for an Android Fan? Look No Further! The Etsy seller Freshonmondays delivers a ridiculously huge variety of awesome, handknit Android sleeves. Most sell for around $18-$24, making them a perfect gift for the Android fanatic in your life. They were originally made to fit the Tmobile G1, though can fit a few other Android models. However, Droid X users should take caution- your phone is too fat and long. Shipping for the sleeves to anywhere in the USA comes to around $2. It’s everything: cute, cheap, and a thoughtful to give to an Android freak. 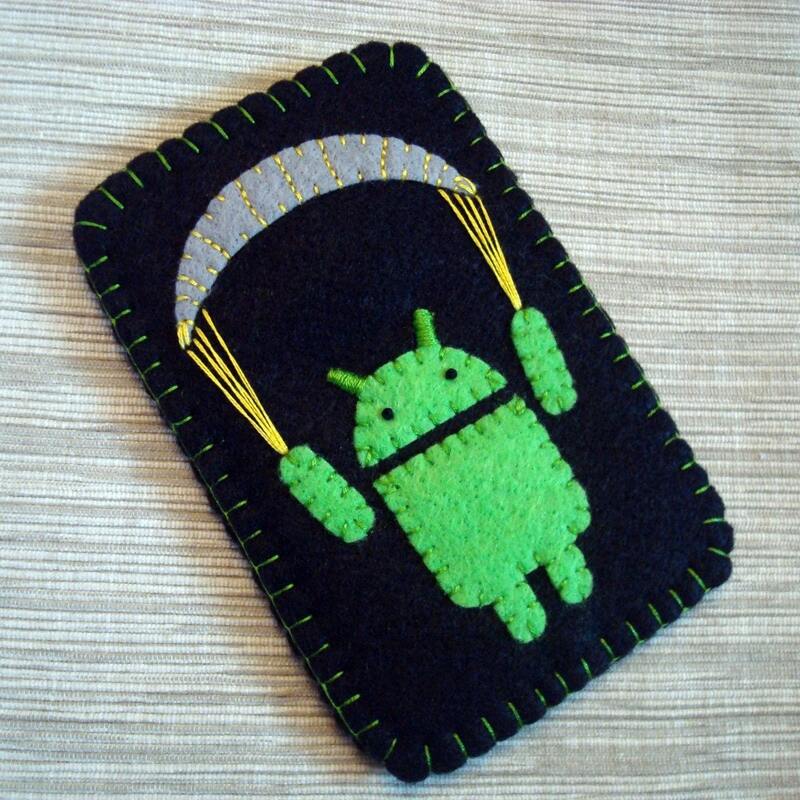 Come on, a paragliding Android bot? Who doesn’t want that? Google Wallet- Coming to Android?